Yes, at Kea Xplorer again! I had signed the boys up for this even before we attended the woodwork session, because I hope the boys would love and be comfortable in the great outdoors. 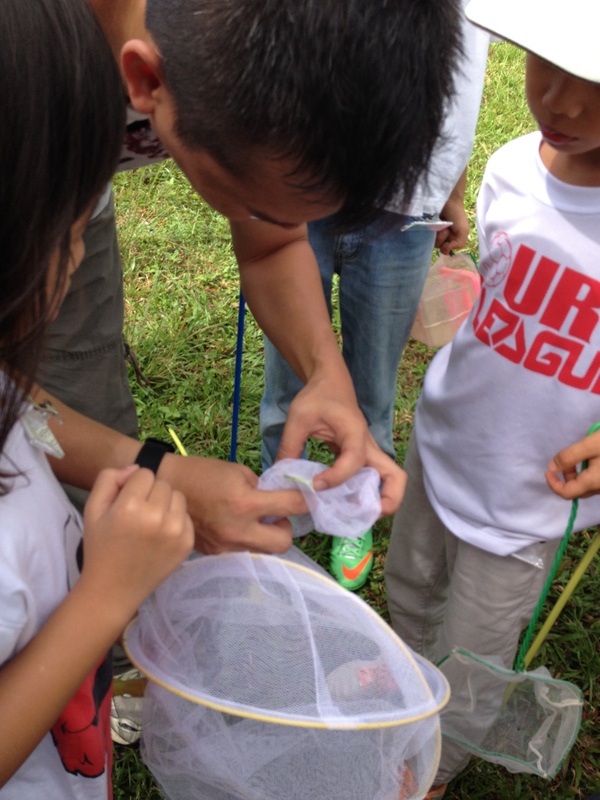 But it was beyond my expectations, and seriously, I was blown away by the exhilaration of catching the insects with our own hands and making them into specimens! There were two parts to the insect specimen workshop. 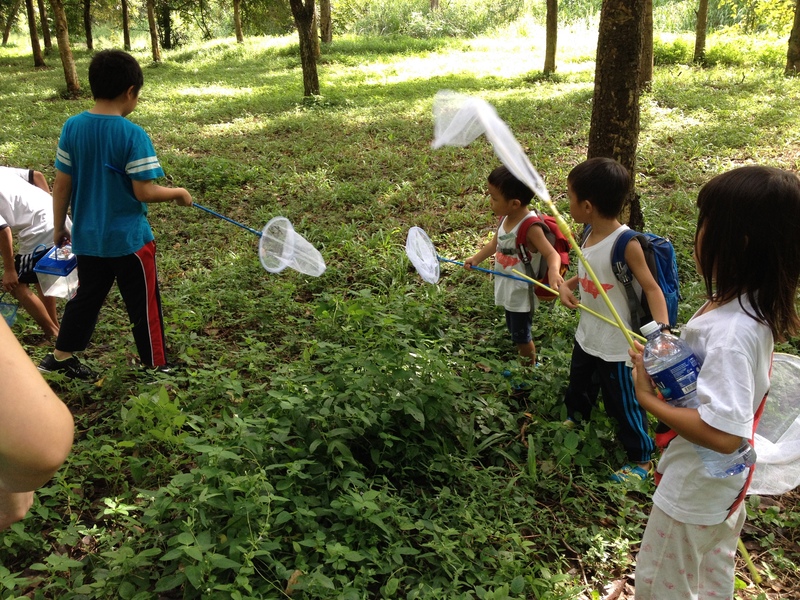 In the morning, we went insect-hunting. Briefing at the beginning of the session. 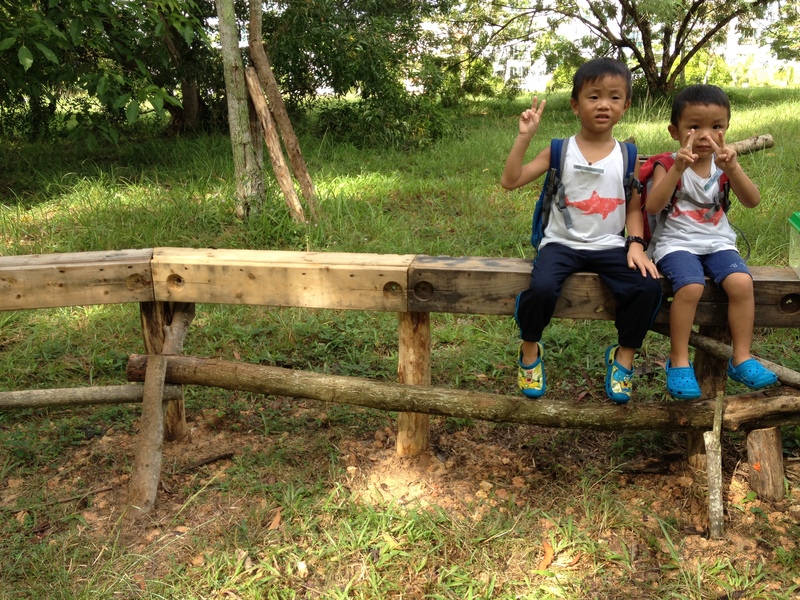 Yes the instructor, who was also our woodwork instructor, MADE the benches! Let’s go catch some bugs!! 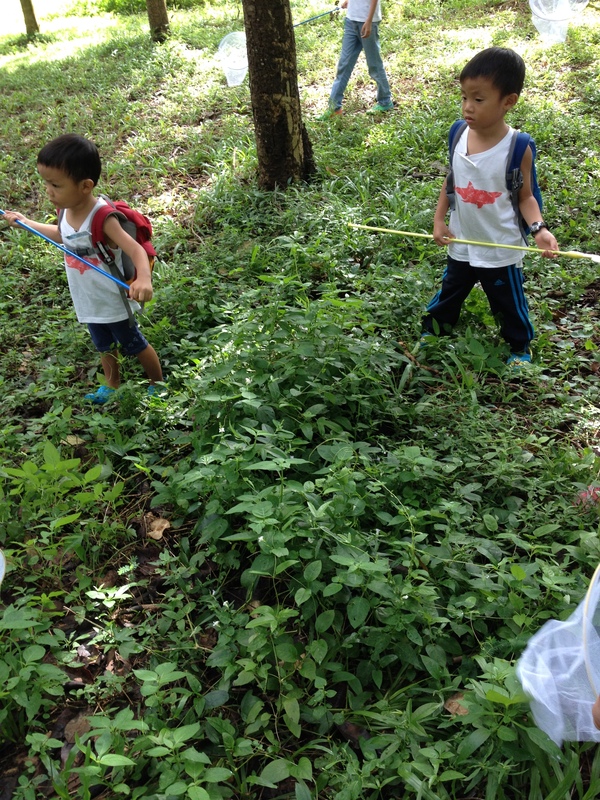 Does it look like we were in a ulu forest? Actually, no! We were right across the road from many, many residential apartments, and a bit farther down were some other industrial-like buildings. It was just a long strip of some trees. It proved to me that we need not go to the forest or mountains to get a good dose of nature. OK, the key word here is ‘noticed’. It is just about purposeful noticing, aka observation, aka Open Your Eyes Big Big. 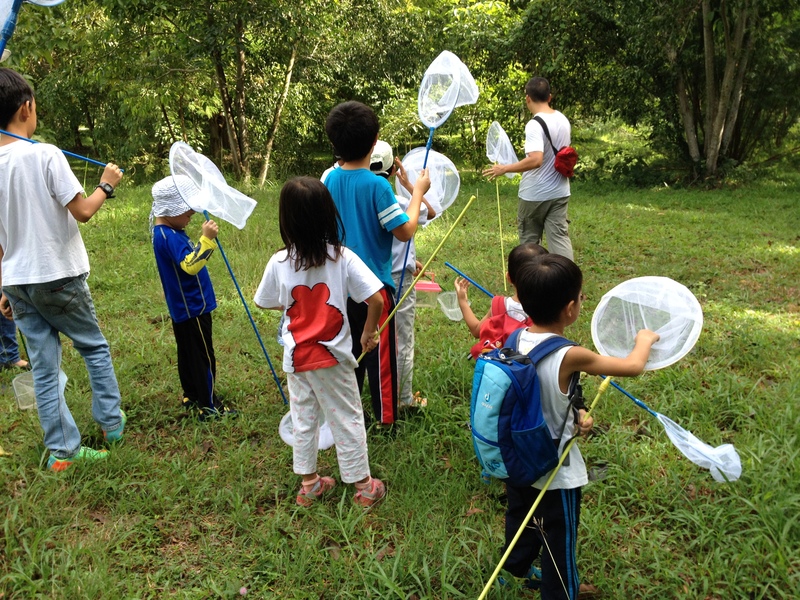 All we had to do, was hit the clusters of long grass with the insect net a few times, and we saw numerous grasshoppers, katydids, unknown insects jumping out! But that didn’t mean it was easy to catch them. The little things were quick! And also very smart. After a while, it wasn’t that easy to spot them anymore. Argh. 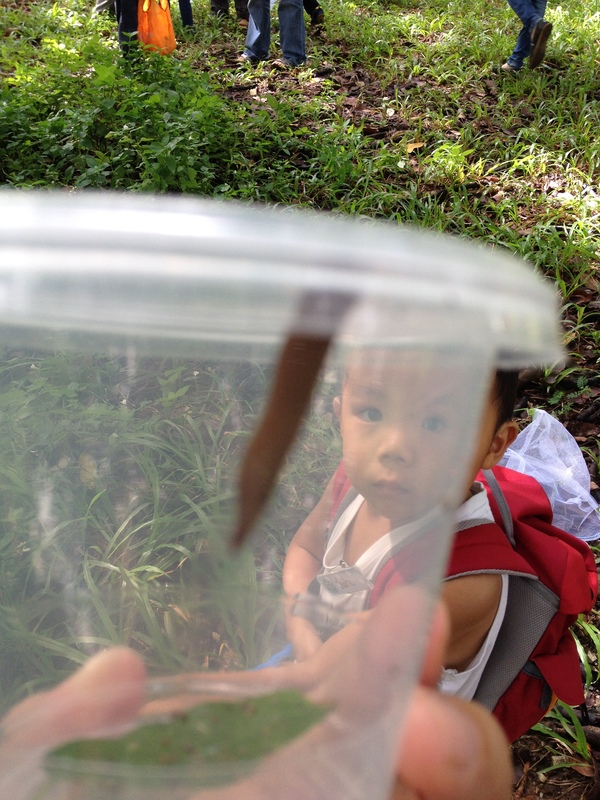 Never mind, then we moved on to the second part – making the captured insects into specimens. 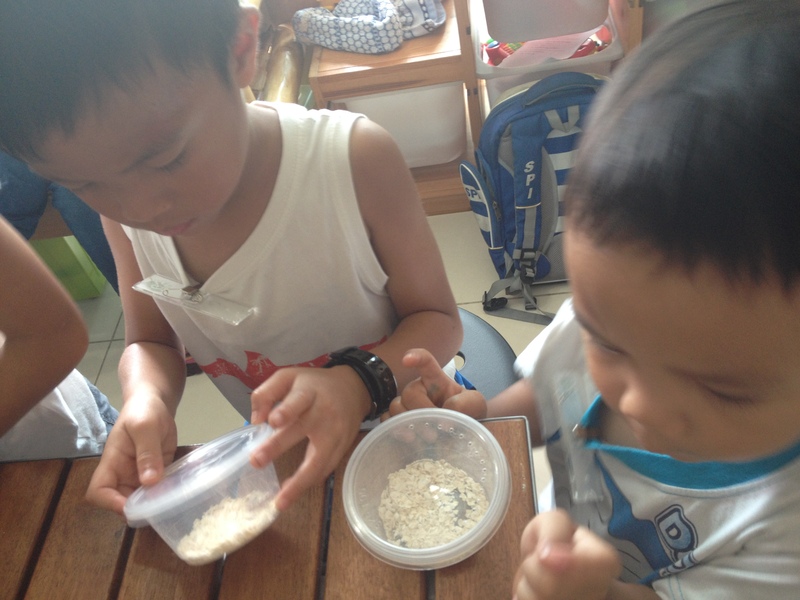 And we were given mealworms to bring home as pets! Sorry, not many photos of the specimen-making process. Because I was too busy listening and learning and guiding the boys to do and urmm, doing it myself 😛 So, how did we make the specimens? Basically, what we did was a fast-forward version of the proper procedure. The insects should be soaked/dried for days between the steps. The instructor had many jars with various chemical solutions to kill/preserve the bugs. 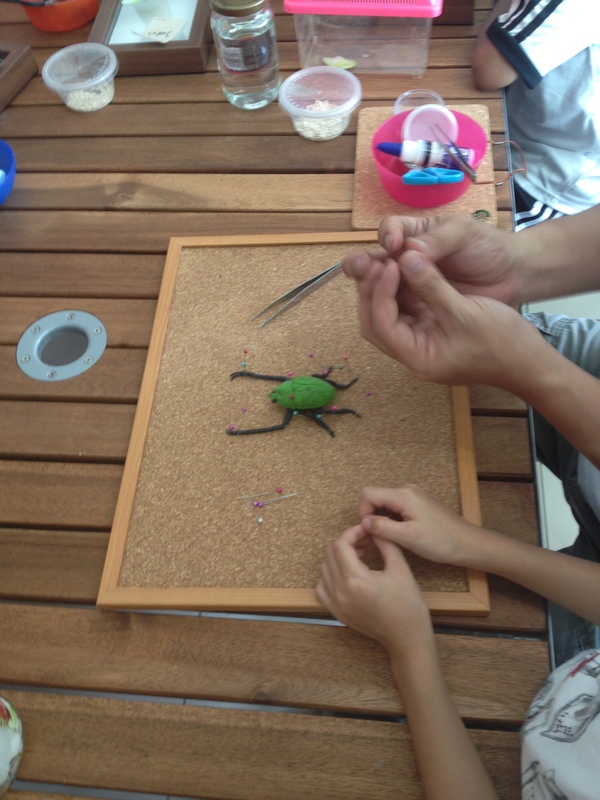 What we did – immoblised the insects on corkboard with pins, then glued them to the box, and lastly the box was sealed. Ya, I know that wasn’t much help, haha. 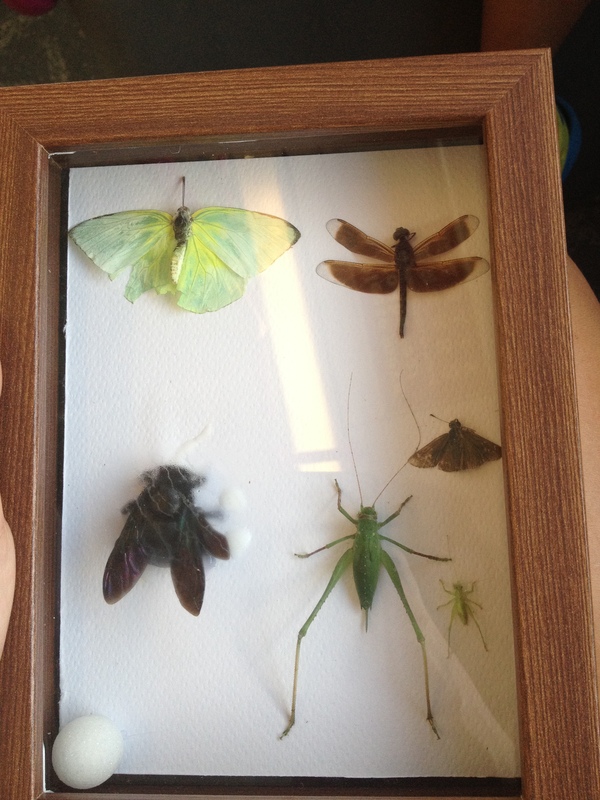 Anyway I am definitely the wrong person to ask if you wanna make insect specimens yourself and this post was never meant to be an Instructable. The point of this post is to tell you how absolutely impressed I am by this workshop! If you are interested, do check out Kea Xplorer for their upcoming sessions. 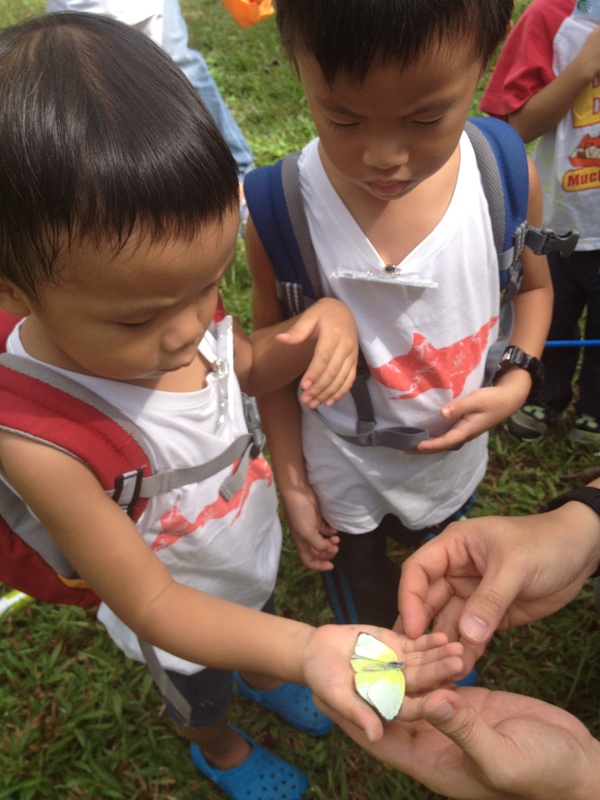 You can also see more photos of our session at Insect Specimen Pak 1 and Pak 2.